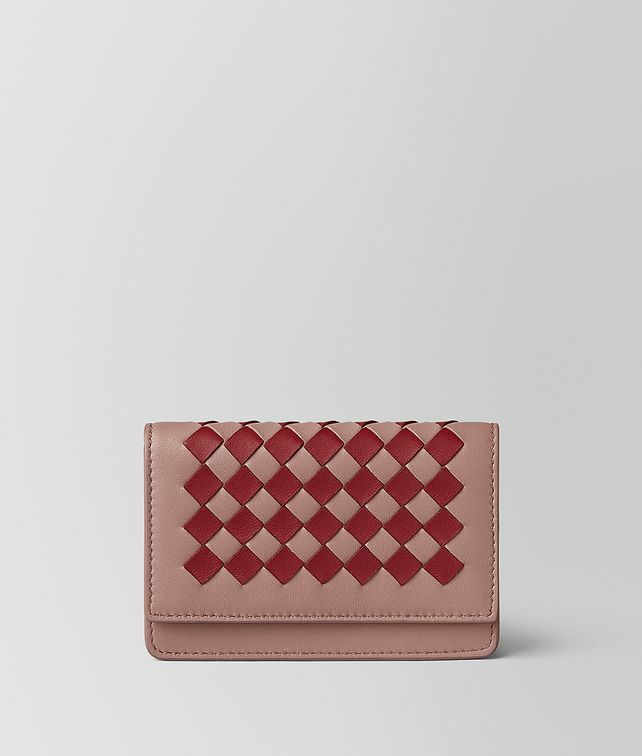 This refined card case is crafted from soft nappa leather and flawlessly hand-woven in graphic intrecciato check in a sophisticated palette. The streamlined silhouette is finished with six card slots and a roomy zip pocket for stowing small essentials. Width: 10.5 cm | 4.1"